For use on M35A2 / M35A3, M809, M151, M54, HMMWV, M939, trailers, etc. P/N 12375837, NSN 6220013723883. Will replace 3454000, SW27006-3. NSN 6220010934439. 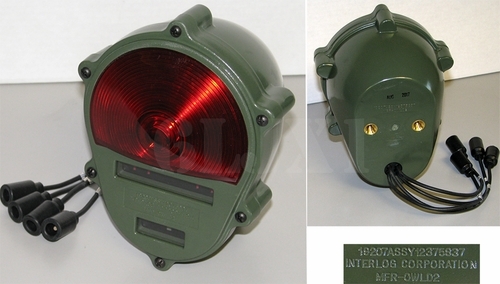 Can replace the aluminum housing fixture P/N MS52125-1, 11614157-1.